​They come to Europe using a wide variety of routes and transports: invasive mosquito species are on the rise, not only in Germany. They are successfully populating new areas, also because climate change provides them with more favorable living conditions. Researchers have been recording these developments since 2012 in the Mosquito Atlas project. With the aid of mathematical models, they are now going one step further and are making computer-aided predictions about their future distribution. There are more than 3500 different species of mosquitoes in the world, about 50 of which are native to Germany. Their numbers are likely to increase in the future, as new species such as the Asian bush mosquito are joining the common house mosquito. The great question: How will these new, exotic species establish themselves and spread geographically? Will they remain permanently in Germany? Answers are difficult to find. 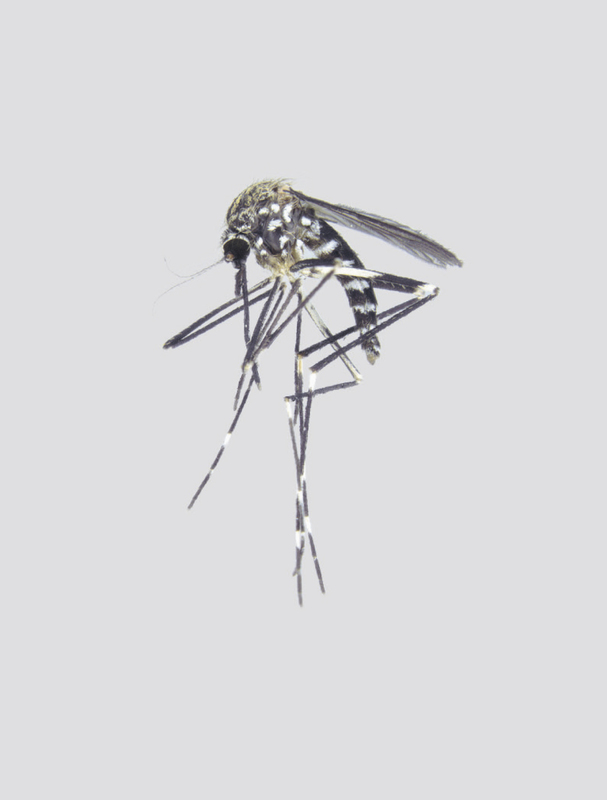 Not only is it necessary to know exactly the needs of the individual mosquito species, but also the conditions under which they produce offspring or into which areas they prefer to migrate. Dr. Ralf Wieland from the Leibniz Centre for Agricultural Landscape Research (ZALF) is a computer scientist. Using a computer model, he hopes to predict the future distribution of mosquito populations. He is using the database of the mosquito atlas research project which was launched by ZALF and the Friedrich Loeffler Institute (FLI) as his basis. The proliferation of mosquitoes in Germany has been mapped since 2012 with the help of normal citizens sending in mosqitoes they caught in their neighborhood and observations by the scientists themselves. Dr. Wieland's model links this huge data pool with a total of 37 weather variables including rainfall, monthly temperatures, frost days or a drought index. Yet Dr. Wieland solved the problem with a method he has called the "Genetic Optimization Algorithm". In a similar way to nature, the model goes through a kind of evolution in which certain promising factors prevail, while others are discarded. This training gradually reduces the computational effort required. At the end of the day, the model has learned to distinguish between important and unimportant factors. Thus, it emerged that only eight weather variables are critical for mosquitoes, including the rainfall in spring or the temperatures in early summer. The figures from the computer model are constantly compared with the current mapping results of the mosquito atlas. This showed how quickly the simulation came impressively close to reality. Based on the data from 2012-2015 for example, the model calculated that the Asian bush mosquito would settle in the vicinity of Jena in Thuringia in 2016: a forecast that was accurately confirmed. With each new mosquito finding, the computer model becomes more reliable and provides the mosquito atlas team with increasingly accurate information about potential distribution areas. "We send tens of thousands of virtual mosquitoes on their travels and track each and every path", Dr. Wieland explains. He and his team continue to work on refinements to the model. Climate change will be taken into account in the future, as will characteristic landscape features or human intervention. What obstacles do the mosquitoes have to overcome? Which routes encourage their distribution? For example, the mosquito atlas team discovered that the new habitats of the Asian tiger mosquito are almost always found along motorways – yet another variable to be added to the model. The results can ultimately be used to create distribution maps for the future. The model is already simulating the conditions under which the Asian bush mosquito could settle in Germany: "It will establish itself throughout West Germany, including Thuringia, parts of Mecklenburg-Western Pomerania and Lower Saxony. 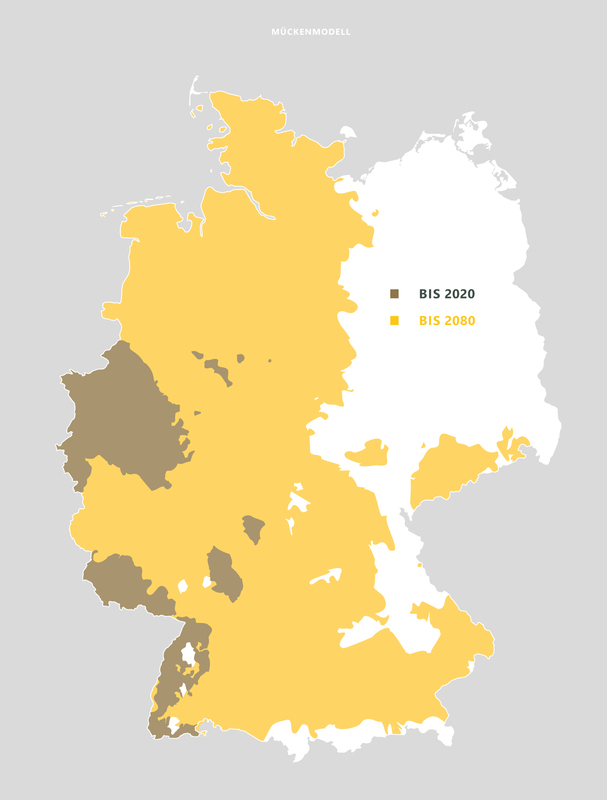 In principle throughout the whole of Germany by 2060." Thus, the future path of the mosquitoes has already been virtually mapped out, thereby providing mosquito researchers with important clues and ideas for their search in the real world.